Refugee students thrive in Portland despite uncertainty. Hameda Dil Mohamed often asks herself this question when people in Portland don't believe her after learning that she and her family are refugees who fled Malaysia for the United States in 2009. Mohamed, a twenty-year-old junior at Portland State University, is a part of the stateless Rohingya ethnic community that continues to face persecution in Burma. Before she was born, her parents escaped Burma and illegally settled in Malaysia. Mohamed was born and raised in Malaysia's capital city of Kuala Lumpur, but because the Malaysian government does not recognize the Rohingya community, she was prevented from attending school for the first fourteen years of her life. For many people around the world, the word “refugee” conjures up the image of emaciated families fleeing war-torn Syria on boats arriving on the shores of countries like Greece. But today the refugee crisis has reached such epidemic proportions that it is nearly impossible to capture what a refugee looks like in a single picture. There are dozens of refugee students enrolled in Portland's universities, community colleges, and vocational schools. The exact numbers are difficult to pinpoint, as institutions are not legally allowed to disclose a student's US visa status. However, when we think of what a refugee looks like, we seldom imagine a student carrying a stack of physics books outside the Reed College library. Instead, we often picture a dark-skinned, bearded man standing next to a child, both draped under a blanket, looking weary. It's a hard image to shake off. Consider the posters that have been popping up at businesses across Portland and the United States that say “Refugees Are Welcome Here.” In one popular version, a disheveled man wears an oversize jacket, his son tucked underneath his arms. For some refugees in Portland, these images can be a startling reduction of the complexity of their life. 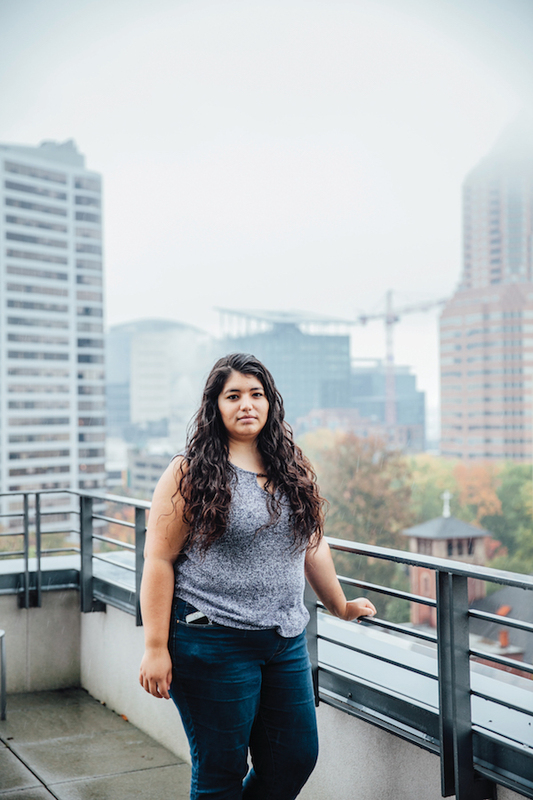 Ula Butti, a nineteen-year-old student at Portland Community College, is an Iraqi Christian from Baghdad who was forced to leave Iraq after a terrorist targeted her Christian school. She was eight years old at the time; she has lived in Portland since she was eleven. “I do not look like that, and not all refugees look like that,” Butti says, referring to the images of refugees arriving on boats. 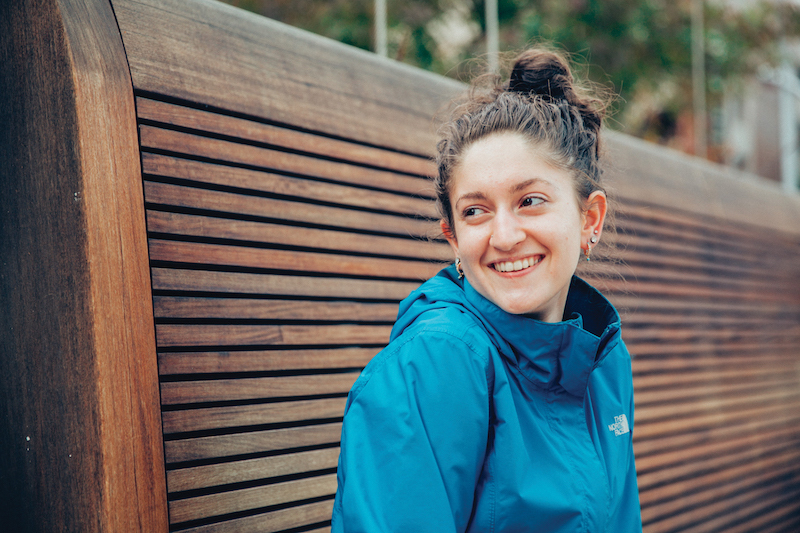 Both of Butti's parents are physicians, and both were able to find work in Portland, which helped smooth her transition to America. And while Butti struggled to learn English when she first moved here, today she speaks without even a trace of an Iraqi accent. Most people just think “that I am white,” she says. At Portland Community College, Butti is studying nutrition and has no desire to live in the Middle East or to leave the Pacific Northwest. “I have more photos of the Columbia River Gorge than I do of my family,” Butti says with a wide smile. But for others, including Hameda Dil Mohamed, moving to America can be jarring. When she first moved to Portland in 2009, she was bullied at school, an experience that made a significant impact on her life in part because of who was doing the bullying. When people speak about refugees, they often speak in terms of numbers—specifically, how many refugees there are in the world today. This is for good reason, given the scale of the current global refugee crisis. According to the United Nations High Commissioner for Refugees, 1 out of every 113 people on earth is a refugee. That translates to a staggering 65.3 million people. As of 2015, there were more refugees than after World War II, even when adjusted for population growth. And while the numbers for 2016 have not yet been released, external and internal displacement continues to rise across the globe at an alarming rate. At the moment, 24 people are displaced every minute. But there may be a more telling—and troubling—data point. The United Nations also reports that a person who is displaced today is likely to be displaced for longer than ever before. This is the case for Tenzin Sangpo, a junior at Reed College studying physics. Sangpo is a Tibetan Buddhist who was born and raised in Kathmandu, Nepal, to parents who fled Chinese-occupied Tibet. Like Hameda Dil Mohamed, Sangpo has been displaced his entire life: he was born as a refugee, then fled to another country as a refugee, and now lives in Portland as a sort of double, even triple, refugee. Sangpo is proud to be Tibetan but has never been to Tibet, and given China's current policies, he may never be able to go. He hails from a family of Tibetan activists, and his father was, and still is, active in the Tibetan freedom struggle. The Dalai Lama gave Sangpo his first name, Tenzin, and he has met the Dalai Lama on numerous occasions. “It's not a big deal at all. He named a lot of people,” Sangpo says, with a bit of a mischievous smile. Last summer, Sangpo interned at the University of Chicago's prestigious Argonne National Laboratory, and now, at Reed College, he's a resident advisor in the dorms. That Sangpo has already been displaced twice in his life at the age of twenty-five does not faze him at all. Sangpo grew up in a neighborhood of Kathmandu inhabited mostly by Tibetan refugees. He studied in a private school, but his life changed dramatically when Nepal's crown prince assassinated Nepal's King Birendra and nine others in June 2001. “At first I just thought we were having a few days off of school, which was nice. But later I began to realize that something bigger was happening,” Sangpo says. The new Nepali ruler was not as welcoming to Tibetan refugees, and Sangpo and his family fled to neighboring India soon after. They settled in Dharamsala, where the Dalai Lama currently lives, and Sangpo says the experience of being in such close proximity to the Dalai Lama, as well as the courses he began studying on Buddhism, inspired him to become a devout Buddhist. 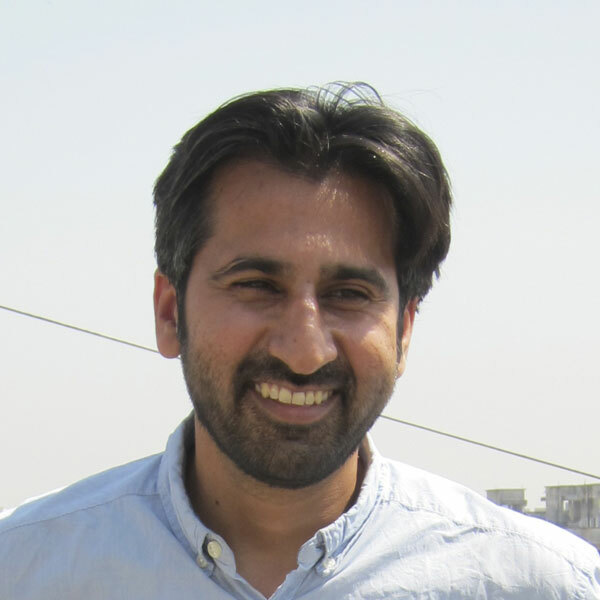 His interest in science developed during his childhood in Nepal. “We had such scarce resources growing up, especially electricity, and I was so fascinated by this idea that such a small amount of nuclear energy could power an entire city,” he says. Sangpo set his eyes on studying in the United States, but the process of reaching America took years. “My mother came first, and she was all alone for eight years. It was tough to be separated from her, but I am thankful to the US government for finally welcoming us,” Sangpo says. One of the misperceptions Sangpo often hears is that it's easy to seek asylum in the States. “You have to go submit your fingerprints, and then get a checkup, and then get fingerprinted again, and then another checkup,” he says. According to the Center for American Progress, refugee applicants to the United States have to complete a multistep process (as many as twenty-one steps are required for Syrian refugees) before they're granted asylum. This includes being screened by the United Nations, submitting their biometrics to US authorities, and being interviewed regularly by the State Department, US law enforcement and intelligence agencies, and the Department of Homeland Security to ensure that they are in compliance with all US laws. Refugees also have to take classes on cultural orientation and they are only permitted to leave the US if they obtain a special Refugee Travel Document, another lengthy process. Sangpo credits his success to his professors at Reed, as well as to his family, who live nearby in Portland. But a growing number of refugees are separated from their parents. In 2015, the United Nations reported that there were approximately one hundred thousand children who sought asylum, a record high. For some refugees, the issue is not only separation from their parents. It's also not knowing when—or if—they can ever return home. Mohanad Elshieky, a twenty-five-year-old student at Portland State University, has not seen his parents in Libya since he left in 2014. Elshieky was born and raised in Libya's coastal city of Benghazi, and, because of the authoritarian policies of Libya's late dictator, Muammar Qaddafi, he didn't have access to the Internet for most of his life. Elshieky developed a love of books and devoured whatever British or American books he could find in Arabic, in particular Sherlock Holmes and Mark Twain. “I love Twain's dark humor,” he says. He eventually enrolled in medical school in Benghazi and became an activist on campus. In 2012, he dropped out of medical school. The more he spoke out on campus, especially about the conditions for students, the more teachers docked his academic performance. “I got to meet the people I was supposed to look up to, and I thought, I don't want to be a part of this,” Elshieky says. With money he had saved up as a translator and English teacher in Benghazi, he traveled to Europe, Turkey, and Lebanon and soon realized he didn't want to live in Libya anymore. In early 2014, a friend told him about a US State Department program called the USMiddle East Partnership Initiative, which allows students from across the Arab world to come to the United States to study in American universities for a few weeks. Elshieky applied, and in June 2014, he spent five weeks at Portland State University. While Elshieky was in Portland, rumors began to circulate among the network of activists in Libya that he had come to the States to become a spy for the US government. Elshieky laughs at that idea. “If they only knew how lazy I am. I would make a lousy spy,” he says. Back in Libya, the political situation deteriorated. The airport in Tripoli was burnt down, and Benghazi, his birthplace, went up in flames, too. He convinced the US government to extend his stay, and he was granted an international student visa known as a J-1 visa. A few months into his time at PSU, an event happened in Libya known as Black Friday. On September 19, Islamic militants attacked two teenage activists, Tawfik Ben Saud and Sami Elkawafi. Both were friends of Elshieky. No one has claimed responsibility for the killing and the Libyan government has not called for an inquiry. As soon as Elshieky moved to Portland he began to receive threats on social media from militants in Libya who didn't like his activism and his new affiliation with a US government-funded program. In response, his parents told him not to return to Libya. Elshieky then applied for and received asylum status in the States. At the moment, he's applying to become a permanent resident. But living in Portland hasn't always been easy for him. “Some days, I can't live here. It's the questions people ask me all the time, the way they treat me, the way they label me, the way they look down on me. It's honestly too much sometimes,” Elshieky says. Hate crimes against Arabs, Muslims, Iranians, South Asians, Hindus, and Sikhs are at record-high levels in the United States. In 2015, hate crimes against Muslims, or those perceived to be Muslim, rose 78 percent from the previous year alone. Portland has not been immune to these incidents. In February, a sixty-eight-year-old Afghani man named Abdul Jamil Kamawal was beaten to death. Although the police ruled out the possibility of a hate crime, many Portland-area Muslims believe he was attacked because of his faith. In March, a white Buddhist man named Kozen Sampson wearing traditional Buddhist garments was beaten in Hood River by an assailant who presumed he was Muslim. Oregon has a checkered record of welcoming outsiders. According to Randy Blazak, a sociology professor at Portland State University, “What is interesting about white supremacist groups like the Ku Klux Klan is that they were known in Oregon to be not only anti-black but also anti-immigrant, anti-Catholic, and anti-Jewish.” At one point, Oregon had the largest number of Klan members per capita, Blazak told Oregon Public Broadcasting, and he believes the anti-outsider sentiment of the Klan has not yet gone away. In 2015, the Washington Post examined the intake of refugees per state compared with population density. Oregon's welcome rate is about average per its population size—less than Washington and Idaho, but more than California. According to the Oregonian, 934 refugees resettled in Portland in 2015, a quarter of them from Burma alone. Only one refugee came from Syria. Being a refugee can be a lonely experience, and Elshieky, who is Muslim, says what is keeping him sane these days is comedy. He's now one of Portland's rising stand-up comedians. “I am honestly surviving in Portland because of the comedy scene here and that community,” he says. Who exactly is a refugee, and who gets to decide when we use this term? 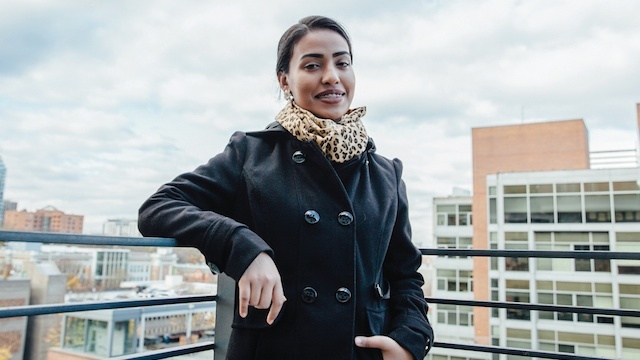 Hameda Dil Mohamed, Ula Butti, Tenzin Sangpo, and Mohanad Elshieky each came to the United States because they were granted asylum status by the US government. However, applying for asylum status can be a lengthy and costly procedure. At minimum, it requires that applicants demonstrate that they cannot safely return to their country of origin. Many others flee to the States using work visas or family sponsorship programs. Maria Fernanda Díaz Bonilla, a student at Portland State University, came to Portland from Mexico when she was in the second grade. Her mother was sponsored by relatives in Las Vegas and quickly found a job in the States. However, while Díaz Bonilla and her mother are technically not in the United States on refugee status, returning to Mexico may not be safe for them. Díaz Bonilla's mother left Mexico because she felt unsafe there; however, she did not choose to file for asylum in the States, even though she probably would have qualified for refugee status. Díaz Bonilla thinks the reasons are varied. “I think she wanted to keep the option open of returning to Mexico, because when you are in the US on an asylum status, you cannot go back,” she says. 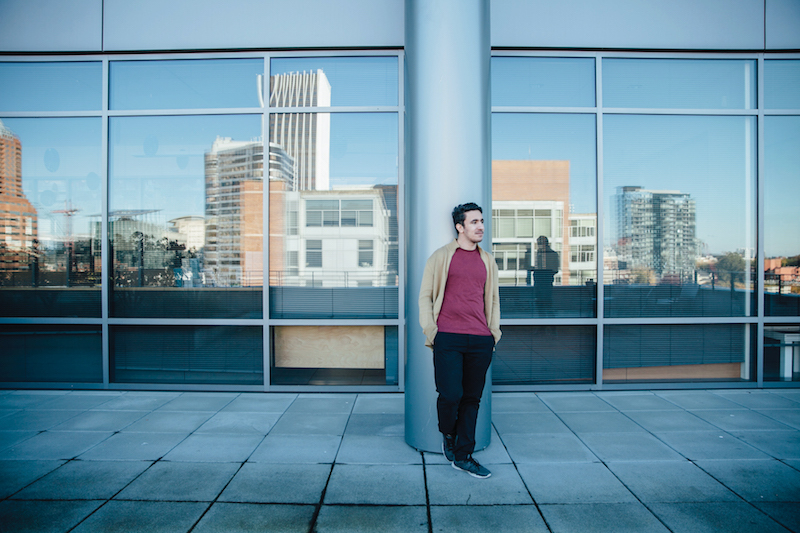 Polo Catalani, the program coordinator for New Portlander Programs, which specializes in helping refugees, believes Díaz Bonilla is a “natural-born leader.” she does not shy away from the label. At the moment, she works for Portland's Latino Network. Much of her focus is on refugees and undocumented immigrants. “It's a struggle for many refugee families. Lack of jobs, trauma from what they left, discrimination in housing, broken families. It can be challenging to leave your country and make it somewhere else,” she says. Díaz Bonilla can risk speaking out partly because as a permanent resident visa holder, she is on a much firmer legal ground than Elshieky and Sangpo, both of whom have to meet periodically with US government officials to update their asylum claims. But even for US citizens, the experience of being a refugee can be taxing—even if the person was not displaced themselves. Hafsa Aden, a student at Portland State University, was born and raised in San Diego to Somali parents who fled Somalia before she was born. Since being elected, Trump's team has already indicated that they will explore the possibility of requiring people from “terror-prone regions” to register with the US government, even if they are US citizens. On Sunday, November 13, Trump told 60 Minutes that he plans to deport three million undocumented Americans as soon as he becomes president. Several refugee students I spoke with expressed the same resilience. A few mentioned that in the aftermath of Trump's win, their academic institutions had reached out to ask if they needed any additional support, something that made them feel more assured about their safety. But one refugee student, who asked not to be identified because of concerns about a possible backlash, was less confident. A few weeks earlier, this student was quoting Beyoncé lyrics and talking about plans to conquer grad school next fall. But the day after Trump's victory, their swagger had all but disappeared. Zahir Janmohamed is the cohost of the Racist Sandwich, a podcast about food, race, gender and class. 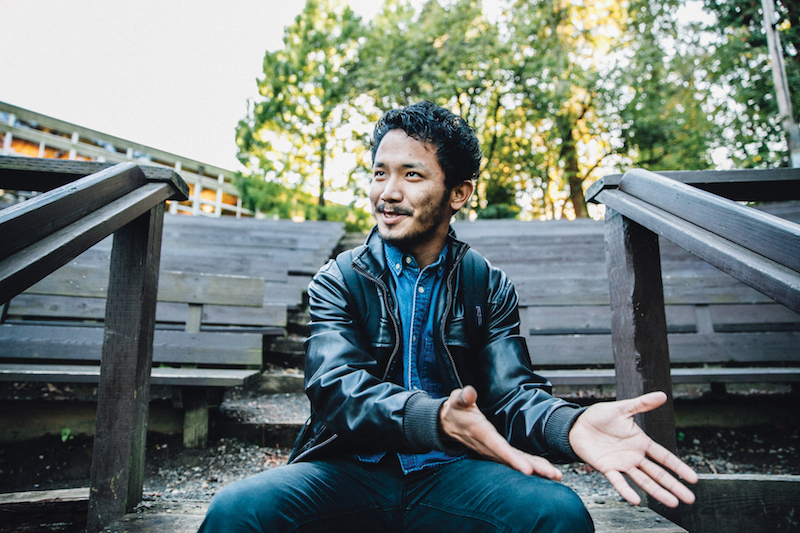 He is also a fellow at Kundiman, which supports Asian American writers, and is the recipient of this year’s Katherine Bakeless Award in Fiction at the Bread Loaf Writers Conference in Vermont. From 2015 to 2017, he lived in Portland. He is now based in Columbus, Ohio. Zahir, you captured the unease, and simultaneous gracefulness, within the hopes and dreams of these brave young people in a way that made me think about self and place in new, and frightening, and freeing ways.The statements by Hamenda, towards the end, really drove it all home for me. And, Toho, the thoughtfulness you put into subject, setting, and execution of the photos is amazing. Really well done. Reporter Putsata Reang and photographer Kim Nguyen share their stories of leaving their home countries as refugees, meeting as students at the University of Oregon, and returning to Southeast Asia as journalists. A film produced by Dawn Jones for Oregon Humanities.